Q1. What sites do you use to make working on the go work for you? Kerry: Google Drive and Asana. Angela: Google Drive is the most convenient program for me while traveling. It’s so nice to have all the needed files accessible from any device, such as when I’m quickly responding to an email on my phone or when I need to look something up, I just jump on my Google Drive app. Google Calendar is a must to keep my days organized. Asana is very useful to keep tasks organized. Evernote is what I use to keep client information organized. Google Voice is great. It allows me to message from my laptop or phone and provides visual voicemails which is a huge time saver. 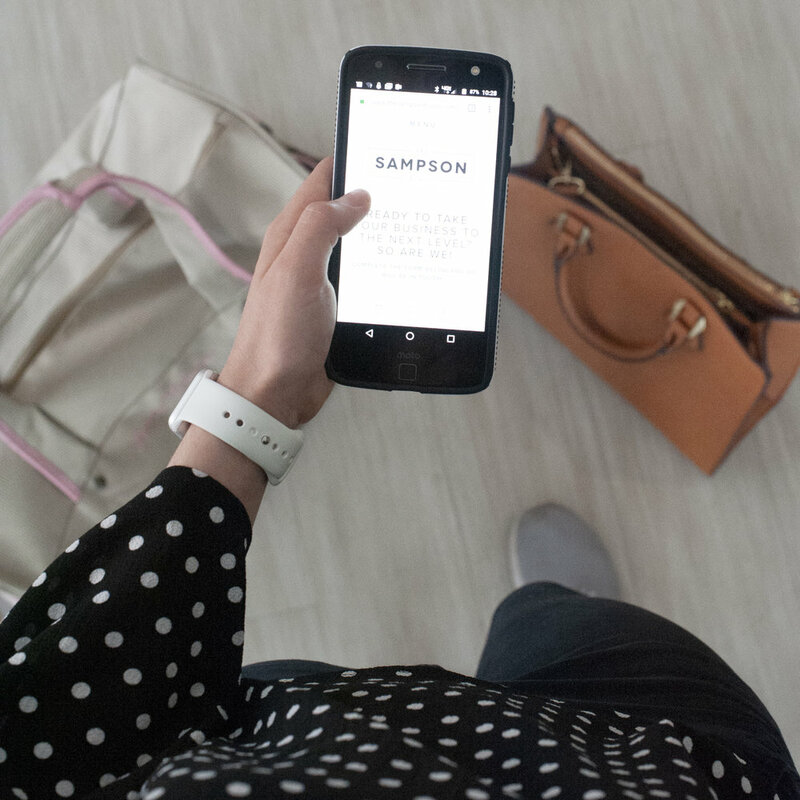 Milana: The Asana App and Facebook Pages App are lifesavers when on the go. Asana is a project management tool that makes commenting and following up on project information a breeze instead of via email. The Facebook Pages App actually works when running a client’s Facebook Page without needing access to a computer. Alexis: I have a very poor sense of direction in new cities, so I depend on Google Maps to know the amount of time I need to get to places and ensure that I don’t get lost. In addition, I use Google Drive to back up my work because you never know what circumstances will arise, and I can always depend on Google Drive for my work to be accessible. Nelofar: Google Drive and Dropbox makes everything hassle-free. I have also recently gotten into using Asana as a tool, so that's another useful site. Plus, I always carry a flash drive with me, it's attached to my key-chain (not super safe), but it contains all my important files like my resume or work samples, just in case I need something right away. Q2. How do you make sure your devices don’t run out of battery? Val: I have a phone battery charger at all times. It’s good for re-charging my cell phone up to 5-6x. I also have multiple laptop charges in key locations like – the office, my house and an extra for my work bag. Adjust your screen brightness. Brightness eats battery, so turn it down to a level you’re comfortable with. Only have programs open and running that you need. Turn off your back-lit keyboard. Angela: I received a Halo Bolt battery pack as a gift and it’s amazing! It is a portable outlet, so I can plug my computer into it AND it also has USB ports to charge my phone at the same time. It holds DAYS worth of battery life! Seriously…get one. Jeff: In the studio, I have a battery charging area that I use religiously. I also have many, many batteries, so I always have a spare. Milana: Since I am the queen of having my phone die on me because of battery life (I mean, it is 4 years old with over 18,000 photos, so that is totally understandable. ), I bring a portable charger with me AND a cord that works for my iPhone. As for my laptop, I charge it up before I depart for my trip, find outlets at the airport and leave it plugged in when it isn’t being used. Alexis: When trying to save battery on my phone, I turn the brightness down on the lowest setting and turn off the motion detection. Also, I try to bring a portable charger or car charger for the instances when I don’t have an outlet. Nelofar: If I am on my phone and I know I won't have access to an outlet, I try to unlock my phone as few times as possible. I also turn off my WiFi and close all my apps. If I am on my computer, I close my unnecessary tabs and hope that my computer doesn't die! Q.3 How do you manage without internet? Kerry: Luckily, a lot of the programs I use don’t require internet. If I know ahead of time I’m going to be without internet, I’ll gather up any information I need before leaving an internet connection. Angela: I don’t. My entire job requires internet so I often use my phone as a hotspot. If I cannot get service or internet (when flying, mainly) I use that time to organize and plan via paper and pen. Jeff: Not well, I get anxiety about all the emails. Milana: Ahhh, data is a wonderful alternative to internet when traveling. There are many times that Wi-Fi is spotty or non-existent, so I just turn on my hotspot and finish what is needed online. For the most part, I try and work offline when traveling. I do this by downloading all the needed files ahead of time and doing my work via Word Docs. Then, when I am ready for the internet, I connect and finish what is needed online. Alexis: If it is specific information that I need to review multiple times, I will screenshot it to my phone so I can view it whenever. I also make sure if my work is in cloud storage that it is backed up on my desktop. I always try to monitor the amount of data usage I have gone through as well, so I don’t run the risk of going over my plan. Nelofar: Since half of my work doesn't need internet, I can manage quite well without it. Most of my documents are synced across my devices, so when I find myself without internet, I work on apps that don't need internet, like Microsoft Word, Dropbox, etc. So, what do you think? Do you find yourself doing some of same things as us when you are on the go? Comment below, we would love to know more.